With my black boyfriend I lived for three weeks in three different townships with family members or friends in Eastern Cape/RSA. 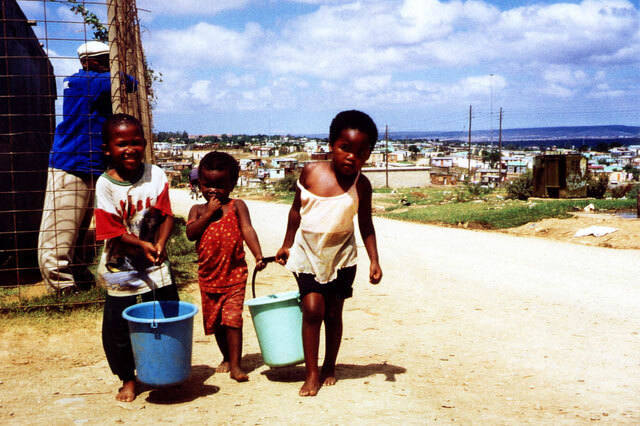 The fotos were shot in the shanty town of Gugulethu / Capetown, where there is one water supply point for households with 300 persons, as well as Langa Location in Uitenhage / Port Elizabeth and a village close to Addo Nature Reserve. The word Fezeka (last foto) in Xhosa language means completion.